Before I get into this, I believe an apology is in order. You come to Jalopnik every day for the same things: cool stories about cool vehicles. Reviews of exotic sports cars. Russian dash cams. Videos of Chris Harris drifting. The incoherent ramblings of Travis Okulski. And here I am, writing my third article in a row about sport-utility vehicles. For this, I apologize. I apologize to anyone who wants to buy an old SUV and actually take it off-road, since you’ll now be competing with leagues of wealthy men who take investment advice from Jalopnik. I apologize to all the Hummer H2 owners I offended with my column about how stupid they look. And I especially apologize to the Hummer H2 owners who took time out of their busy weightlifting schedule to send e-mails calling me a “dooshbag,” only to receive no reply in return. Really, guys, I’m sorry. Fortunately, today’s article covers a side of the SUV world I think most Jalopnik readers will enjoy. And that is: the death of the SUV. As usual, I think it’s important to address your thoughts before I get started. If I had to guess, I’d say your thoughts are something along the lines of: You idiot! The SUV will never die, no matter how many positive articles Jalopnik writes about station wagons! Unless, of course, you’re a Hummer H2 owner, in which case you’re thinking: You dooshbag! You wouldn’t understand the Hummer H2, because it’s for REAL MEN. Then you spit out some chewing tobacco. But I believe the SUV will die, and I’m here to explain exactly why. To do that, let’s go back to the 1950s. You may remember the 1950s, but probably not, according to Jalopnik’s demographic research. You’re much more likely to remember the 1980s, or possibly the 1990s, which were a lot like the 1950s except with considerably more narcotics. Fortunately, I recently became an expert on the 1950s, thanks to one of those Buzzfeed articles entitled something like “30 Ways to Tell You Grew Up in the 1950s.” (Reason 22: Check your birth certificate.) As you might expect, this article didn’t get very many Facebook shares, though I’m told Buzzfeed received numerous telephone calls asking how to print it. Dad: Betty, please don’t speak unless I address you. Son: Dad, are the Russians gonna get us? Dad: Not if we get them first, son. There were also station wagons. 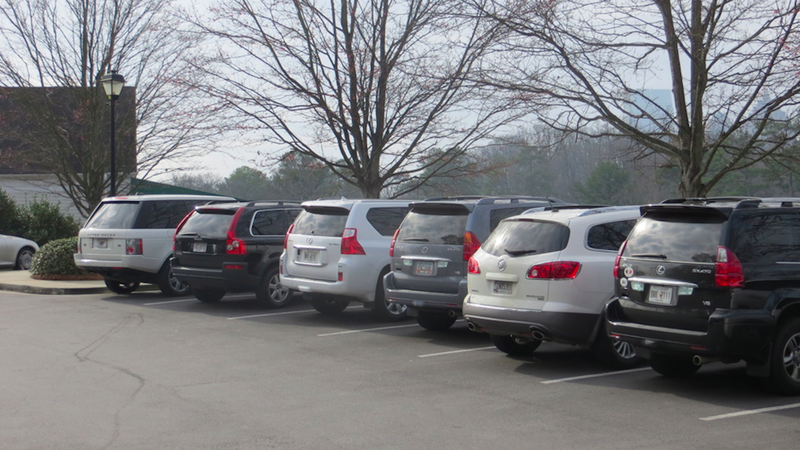 Lots and lots of station wagons. Kids were driven to school in station wagons, they learned to drive in station wagons, and they had their first unplanned pregnancy in station wagons. Everyone had a station wagon. It was Jalopnik heaven. Now, the station wagon love continued through the 1970s until all those kids who spent all that time in station wagons grew up and had kids of their own. Suddenly, the realization struck them: they didn’t want to drive their kids around in the same cars that mom and dad drove. They didn’t want station wagons. They wanted something different. Enter the minivan. The Chrysler minivan, as I recall, came out in the early 1980s, at which time it was purchased by every single family in America, all of whom wondered: Why isn’t there a door on both sides? They would also eventually wonder: “Why do I only get 20,000 miles out of each transmission?” but that came later. Of course, the minivan was intensely popular throughout the 1980s and early 1990s. We all grew up in them. Some vans had wood on the sides. Some vans had rear air conditioning. Some vans had second-row captain’s chairs. And all vans had potato chip crumbs lodged between the seats. And then something happened. All those kids who spent all that time in minivans grew up and had kids of their own. Now they didn’t want to drive the same cars their parents drove, which eliminated the minivan, and they certainly didn’t want to drive the same cars their grandparents drove, which eliminated a) station wagons, and b) General Motors. The result, of course, was the SUV boom, and the creation of a clear automotive truth: nobody wants to drive what their parents drove. We started buying the Ford Explorer, then the Toyota 4Runner, then the Jeep Grand Cherokee. Some people were so desperate for an SUV that they even bought the Oldsmobile Bravada. The minivan was effectively dead. The wagon was, too. All because no one wanted to drive the same car as their parents. And now, here we are. The SUV fad has lasted for a while, but today’s children are starting to grow up. They’re starting to have kids of their own. Are they going to reject the SUV just because it’s what their parents drove? I certainly think so, which is why I’m predicting the SUV will die in the next ten years – just like the minivan, and the station wagon before it. But just to be sure, I thought about my friends – nearly all of whom are recent college graduates rapidly approaching that age where they start popping out children. They’re the next generation’s automotive bellwether; the predictor of what we’ll be driving in the future; the keeper of the automotive flame. And after exhaustive study examining their tastes, I believe I have it; I can safely reveal the car of choice for the next generation. And it is… a used Honda Civic. I think I’d rather have the minivan. We have a Sienna AWD minivan that we use a lot for long skiing and mountain biking trips (hey, I may not have worked for Porsche, but I still managed to carve out a pretty good lifestyle for myself). I call it the Penalty Box, but am mostly kidding (other than the agrarian sounds the engine makes). It drives OK, and it’s so damn good to have all toys inside, rather than appended to the roof, howling in the wind, collecting road debris, and hammering the mileage down far below the mythical downhill, freeway, tailwind figure most people quote as their vehicle’s “average” mpg. But a driver’s car, it will never be! I’ve been surprised that a few of my much younger friends have expressed positive interest in the thing, and I think you’ve figured it out: it isn’t the SUV they grew up in! 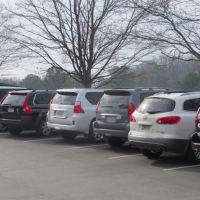 Although, then we must ask ourselves: are minivans really BETTER? I would say yes, the minivan is realistically the perfect family transport pod. It combines the best of the wagon and SUV/CUV/SAV/etc. You get a car-like ride and a higher driving position that women seem to crave plus you get more cargo area than both. And it does it all in an attractively sized package. In my lifetime my family went from a 1982 Camaro Berlinetta to a 1987 Oldsmobile Custom Cruiser station wagon with wood panels to a 1993 GMC Safari long-wheel-base with rear A/C and “Dutch doors” to another Safari to a few Pontiac sedans to a RAV4 and now my eldery mother drives a Toyota Venza. Of all of those, the Safari was the most user-friendly despite their tendency to fold up like a beach chair in an offset crash. But it hauled things an SUV and wagon never could. So I think all of us wagon-lovers will be followed by a generation of folks who question why no one makes a nice mini-van anymore. It’s all about rejecting what you grew up with, like you said. Well, except for me apparently. Interesting theory. However I think the death of SUVs will be MPG related. It is already happening as CUVs take over. The question is will CUVs die? If it wasn’t for their lifted stance and over-sized grills these would be modern-day wagons. So by your logic – like all trends (music, fashion, etc) the “people mover” vehicle of choice will circle back around when today’s kids (a full 3 generations removed from old school wagons) will think the wagon shape is “cool” again and thus return them to popularity. For example my nieces as just 5 years old, thus they have never seen a wagon like the Ford LTD my parents (their grandparents) drove me around (no car seat!) in the mid/late 70s. They have also never seen a van with captain’s chairs like we had back in the 80s. Kids today only think iPads are cool so chances are they will drive whatever application Toyota is selling in 10 years. It will drive automatically via the Google Grid so why should they care? I think SUVs will always be around in a fashion, just not as popular. Hell, the Suburban has been around forever. My Yukon Denali XL (a fancied up Suburban) fits me, the wife, and four friends to go skiing. It also fits the family for long camping trips and will pull the boat. It also serves as my pickup when I pull the third row seat and fold down the second row. I pull 15-18mpg depending on my foot; it goes ANYWHERE in the snow & mountains (Denver, CO) … and it doesn’t look like a stupid shitbox of a minivan. And it doesn’t hurt that I’ve got 350hp. As a recent college grad rapidly approaching the children-popping age, I have to say I would not mind eco-boosting around in a 2014 Ford Transit Connect Wagon. Car-makers are picking up on these trends but I think it’s getting increasingly difficult for them to predict buying trends rather than react to industry demands… That’s why we still see things like the BMW X4 concept and *Shudder* Lexus LF-NX. Also WHY is Dodge still making the Avenger?